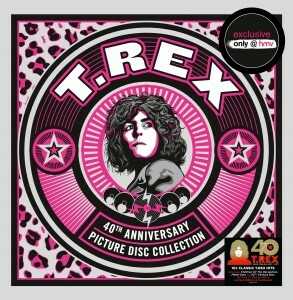 Demon Records are releasing T.Rex 40th Anniversary Picture Disc Collection this Friday. This special limited numbered edition box set will contain 5×7” picture discs and will be available exclusively from HMV in the UK. Each picture disc features photography from Barry Plummer, representing the era of each single. Only 1000 of these numbered sets are available online and in-store.